​The 2018 Integrated Annual Report covers the period 1 July 2017 to 30 June 2018 and has been prepared in accordance with the Integrated Report Framework. The report reflects the progress WWF has made in achieving our strategy for 2017 – 2025, our performance in the past year, key organisational initiatives and what our priorities are going into the next financial year. 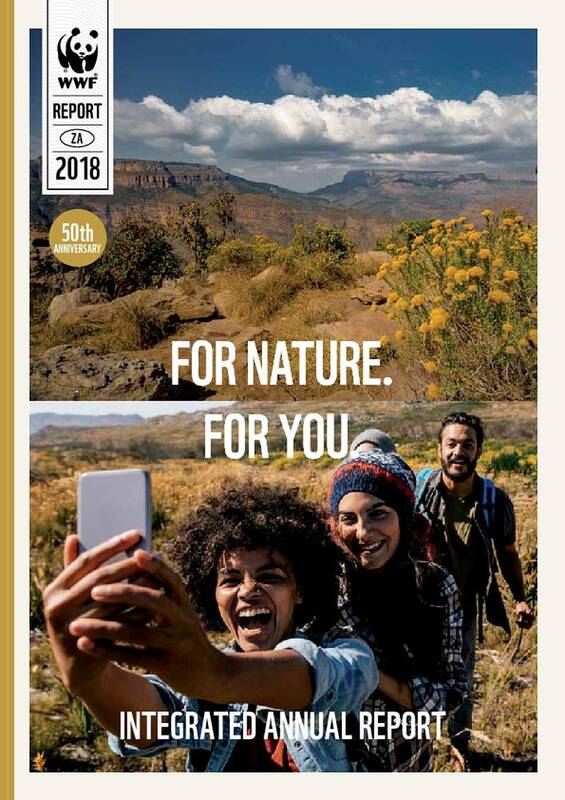 And as 2018 is also the 50th year of WWF in South Africa, we have highlighted some of our most significant environmental successes of the last five decades. We have achieved much over the past 50 years, but there is still much work to be done. With the right people, resources and motivation, we will succeed in building a sustainable, equitable future where both people and nature thrive.